Game of Thrones fans were treated to a secret Super Bowl commercial with Bud Light. There is no footage from the upcoming Season 8, which is the final season for the series. However, the Mountain makes a gruesome appearance and so does a giant dragon. It's a very clever ad that works from Bud Light's previous promotional campaign that was heavily inspired by the hit HBO series. 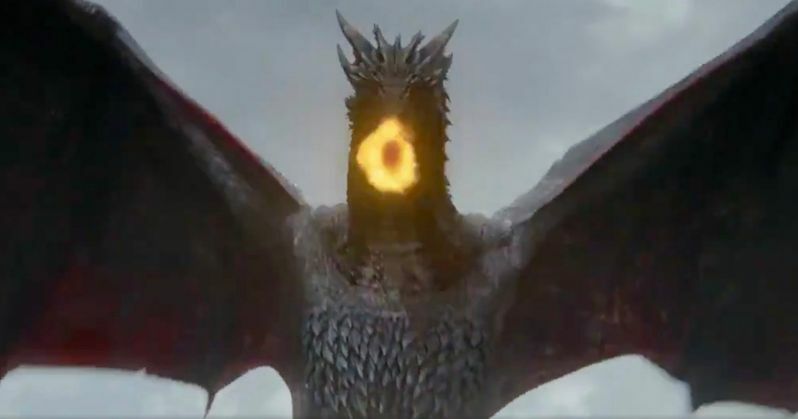 Super Bowl 53 has been on fire with their commercials released thus far, and the latest Game of Thrones ad literally brings the fire. We see the Bud Light Knight go up against an unknown assailant, who turns out to be the Mountain. Things get bad when the Bud Light Knight goes down and the Mountain stands over his body. He then leans down and pokes his eyeballs out. However, that's just the beginning as the Dragon flies over and torches the place to the iconic soundtrack. In the previous Bud Light Super Bowl commercial, the Bud Knight called out Miller Lite and Coors Light for using corn syrup. It's a pretty savage commercial, but it has nothing on the Game of Thrones version with the fiery implied violence. Obviously we don't see the Mountain actually poke out the Bud Knight's eyes, but it is heavily hinted at and it's a pretty bold move for HBO and Bud Light. As of now, it looks like they have won the Super Bowl for the best commercial to air so far. However, there is still plenty of time in the game to go and we could even see another Game of Thrones commercial. Another noticeable thing about the Bud Light Super Bowl commercials is the fact that they're each a minute long. It costs $5.2 million for one 30-second spot, which means that Bud Light dropped over $20 million for two epic commercials, which doesn't even factor in to how much it cost to actually make the commercial in the first place. With that being said, Bud Light doesn't really have a hard time moving their product and Game of Thrones is arguably the biggest show on television. While the Super Bowl commercial is epic, it's pretty weird to see Game of Thrones pair up with an American light beer that many snobs look down upon. With that being said, the commercial took everybody by surprise and let Bud Light fully live out their Game of Thrones fantasy that they started in 2017. It would be interesting to see how the deal came together and to see who paid for what, but one would have to imagine that it cost a lot of money to produce. The dragon alone looks just as good as it does in the show. Thankfully, Game of Thrones fans only have to wait until April to see the debut of the final season. You can watch the epic commercial below, thanks to the Game of Thrones Twitter account.